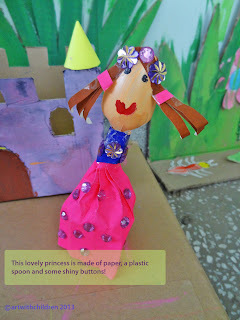 It has been a month since I introduced story telling along with craft making session at our art center. 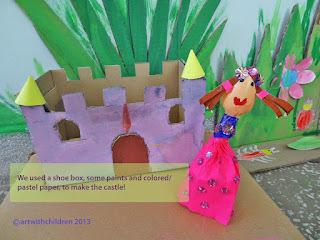 We read a story together and decide the crafts that we can create, related to the story we just read! I think it is a good concept and wish more children could take part shortly. The reading part might not sound very interesting today, as children are much more into the gadget world and TV. It is always better to do a trial session before enrolling for the activity. Rest assured, it is presently a totally let-me-do-my-stuff and fun activity and the children are loving it....I am sure the experience will remain as one of their beautiful memories always! To start with, we chose a very VERY old book from one my book collections - Lucie Attwell's Storytime tales - published in 1971(now listed under rare and collectibles).
' 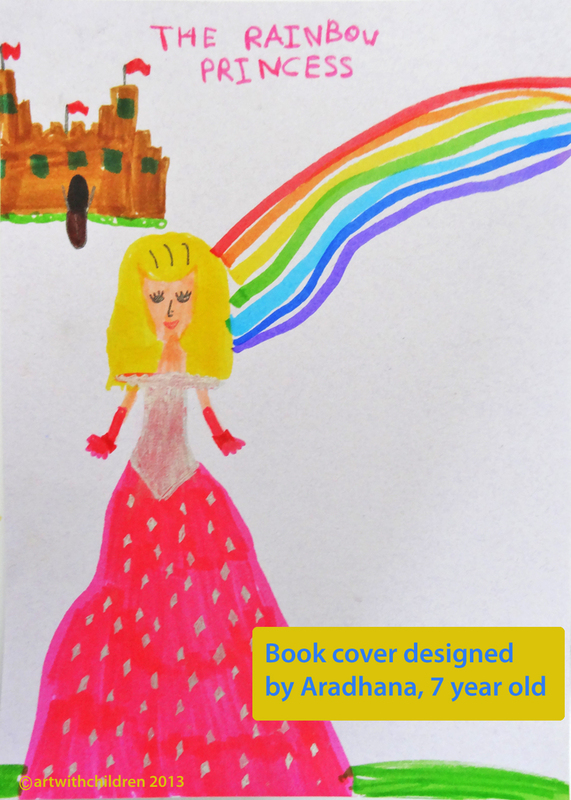 The Rainbow Princess' ( one of the stories from the book) is a charming tale about a princess and the dress she wished for...... The children were greatly amused. They compared the story with similar stories they heard or read in the past. They also decided to make a castle with rooms, furniture and turrets and of course a princess as well! Enjoy and do visit us for more updates on this topic!